Yesterday, Anne, my mother, sister and I went to Genting Highlands, to spend an evening with the American pianist, Jim Brickman. My sister has 3 free tickets courtesy of her friend. We bought one ticket from Genting.com so mom can go and I must say that we enjoyed ourselves tremendously. There were 3 guest singers: local "diva" Fauziah Latiff, Philippines singer, Phoebe and an American male artist, John Trones. I'm ashamed to say that Fauziah pales in comparison to the Philippines and American artist. She sounded awkward, unable to bring the song alive and worst, she has to read the lyrics from a book, as though she was not prepared. During a duet, instead of staring into John Trones' eye, she was staring at the book. Shame on you, Fauziah! 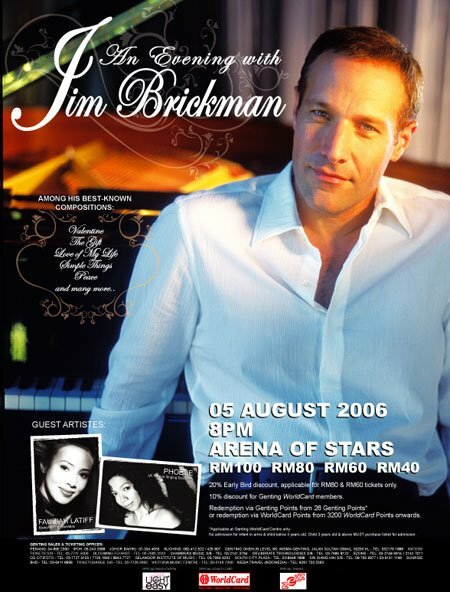 In one incident, Jim Brickman told the audience that she'll let Fauziah introduce the next song that she's going to sing. Fauziah said that the song she's singing is in her new album - this song is called Perjanjian and that it is a rendition of Jim's "Your Love" song. After she said "Your Love", Jim started to play "Your Love".. it was a silent 10 second before Fauziah interrupted Jim and said "Er.. Jim.. I thought we are going to sing "Simple Things"
Aside from that, it was very entertaining. Jim Brickman was amazing! He did not refer to any score sheet and he played like almost 20 songs! That's a lot of notes to remember! John Trones was a surprise hit with the audience. He has such amazing voice! Overall, we had a really good time. 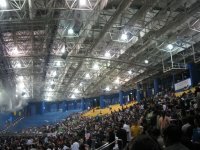 The picture above showed the Arena of Stars at around 8pm. 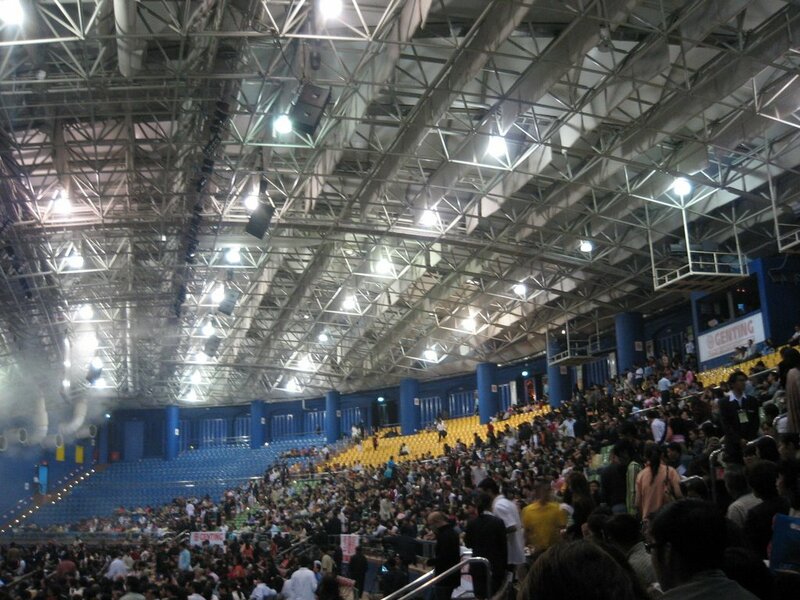 It was not a full house, that night..
We had a great time with Jim & John in Taiwan, too!